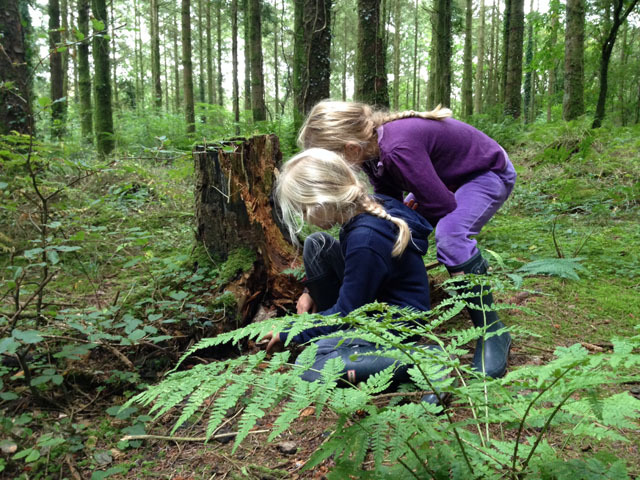 If, like me, you have an ongoing battle trying to persuade your children to join you for a long dog walk, then let me introduce you to Geocaching. There are small plastic boxes hidden all over Cornwall (in fact they’re hidden all over the globe), each containing a little log book and an assortment of tiny toys, cards and coins. You’ve probably walked within a few feet of one without even noticing. The object of geocaching is to use GPS to find the boxes, sign the log book and leave a little something in the box. 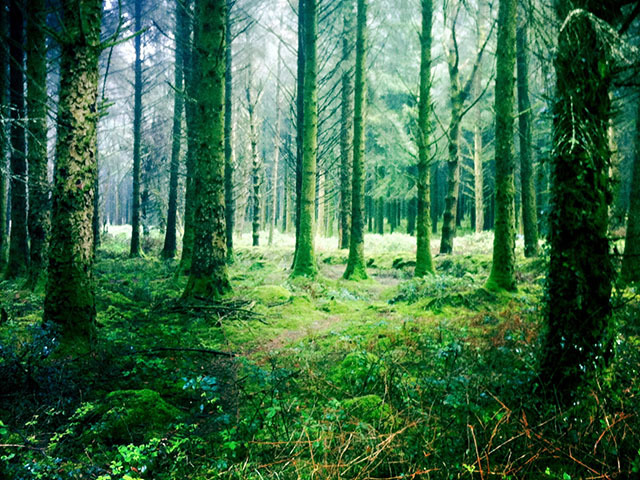 Our favourite place to go is Hustyn Wood, where there are at least 24 geocaches hidden amongst the beautiful trees. There are various trails, leading you from box to box, and before you know it you’ve covered several miles. The iPhone app gives you the option of using a map to locate each geocache, or a compass which points in the direction in which you need to walk, telling you how many metres away you are. We give each of our children one of our phones and they have to figure out which path to take. When we’re only a few metres away from the target there’s a race and a scramble to find the box. The geocaches have names like “Okey dokey” (hidden in the base of an oak tree) and “Stumpy” (hidden in a tree stump) and if you can’t find them then you can read the online hints. The tricky ones often have photos or a more detailed description of the hiding place in case you are struggling. The main tracks through Hustyn Wood are hard-surfaced for the Forestry Commission’s vehicles. There are narrower, moss and leaf covered paths which run through the woods, winding between the beautiful trees. Where the trees are growing close together the paths are like tunnels and you expect the Gruffalo to appear at any moment. 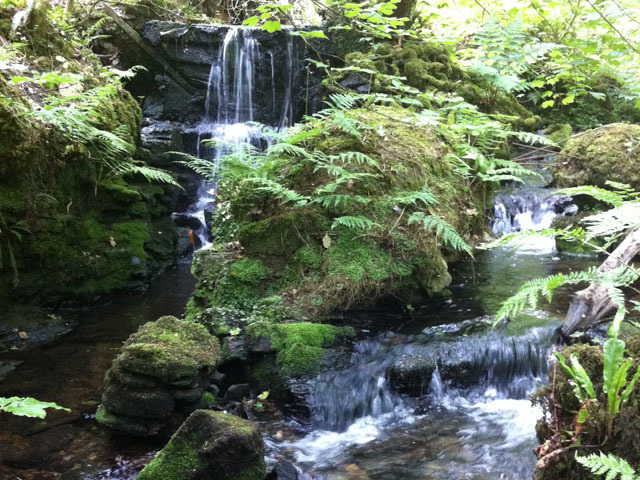 We’ve discovered gnarled old tree trunks, ancient marker stones and a stunning secret waterfall. On Sunday morning we found all 10 geocaches on the Hustyn Hike (part 2) trail. It took over two hours and by the end we wished we’d packed a drink and a pasty. But still the children wanted to keep going and find more boxes. They had actually out-stamina-ed their parents. TOP TIP: Take a pen or pencil, some small toys and a picnic. Wear wellies. HOW: Sign up and register on www.geocaching.com to get started. COST: Currently £6.99 for the iPhone app, then absolutely nothing. 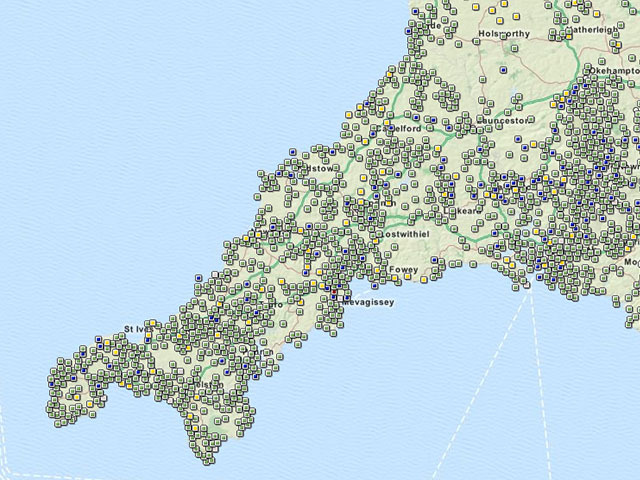 WHERE: Search for your nearest geocaches on the website or using the app. Hustyn Wood is near Burlawn, 2 miles south of Wadebridge.